A High School teacher decided it was time to give his students professional VFX elements to prepare them for the industry they wanted to go into. 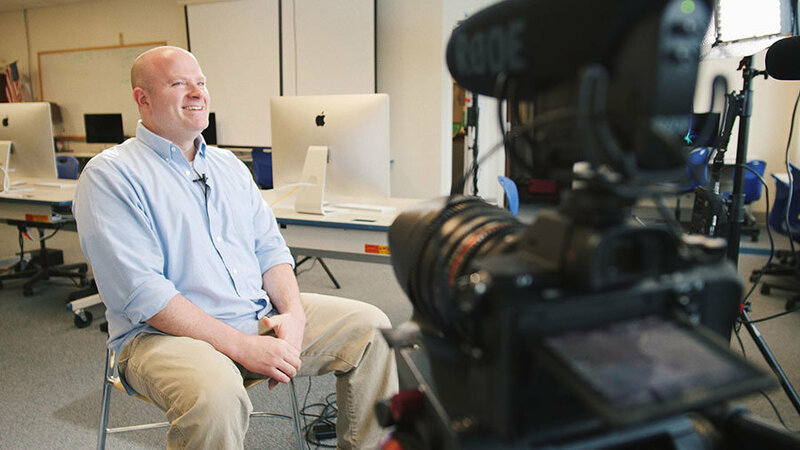 Joe Farranto, a teacher at Cicero-North Syracuse High School, was in need of high-quality VFX Stock Footage for his Video Production class. It isn't unusual to sell to schools, but this was the first time we had ever sold to a high school. Most high schools don't invest that much into the tools they have to teach with, but Joe was looking to give his students an opportunity to excel in the industry after high school. Once Joe got his students acclimated to using professional stock footage, we asked if he was willing to sit down with us and talk about how ActionVFX has affected his students work. Needless to say, we were blown away with the impact that ActionVFX had on these students and the opportunities they will have moving forward. After 1800+ miles on the road packed in a mini van with tons of film equipment, we are excited to share with you a story of how a teacher decided to prepare his students for the industry they wanted to go into. A big shoutout to Joe Farranto for taking the time to talk with us about all the awesome work his Video Production Class has done with our VFX Stock Footage Collections. We can't wait to see what they create in the future! "Any school that has a filmmaking program could benefit from having a high-quality VFX element library and when it comes to quality, ActionVFX is the best."